Mt. Diablo Hike via Burma Rd. Tues. 12/6/16: I’ll be climbing Mt. Diablo on the Burma Road. This trail has grades of 42 percent, sections that are very steep. It’s a great hike but tough! I’ll meet people at the Peet’s Coffee at 1835 Ygnacio Valley Road (near the corner of Bancroft) in Walnut Creek, at 8am so we can car pool into the State Park. A map can be found at http://www.superpages.com/bp/Walnut-Creek-CA/Petes-Coffee-Tea-L0100434182.htm Driving into the park is $10 if you want to bring your own car. The hike begins where the Burma Rd. crosses the North Gate Rd. and climbs to the summit of Mt. Diablo, 4 miles up and 4 miles back, an elevation gain of over 3,000 feet. The actual route begins up Burma Rd. continues onto the Angel Kearly Trail, Mother’s Trail, Burma Rd again, Deer Flat Rd to Juniper Camp and the Juniper Trail to the summit. It’s the same elevation gain and distance as base camp at Lake Helen to the top of Mt. Shasta. I’m hoping to be back at our start by noon to 1pm. 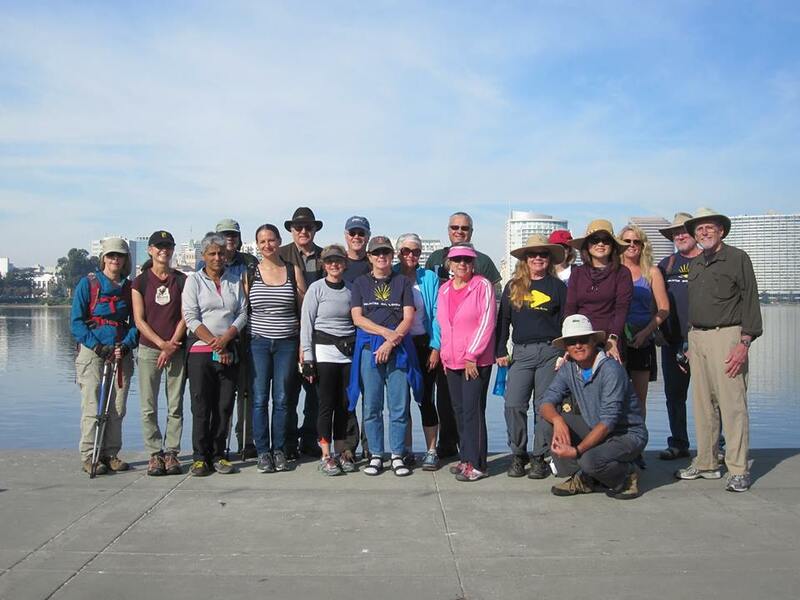 This is a very strenuous hike and one of the best quick hiking workouts in the Bay Area. It is not a trail for beginners who are unsure of themselves on steep and slippery hills. By the end of summer, every little pebble begins to act like a ball bearing and hiking poles are highly recommended. Once it rains, it gets a bit easier, but it is always a marvelous place to improve your surefootedness, balance and overall strength both up and downhill. Bring lunch, water, a hat, gloves clothing for the weather, good hiking shoes and hiking poles which are especially useful on the steep downhill. Thursday, 12/8/16: I’ll be meeting folks at the Old Briones Road Trailhead at the end of Briones Rd. at 8:30am for a 10 to 12 mile ring hike covering most of the circumference of the park. 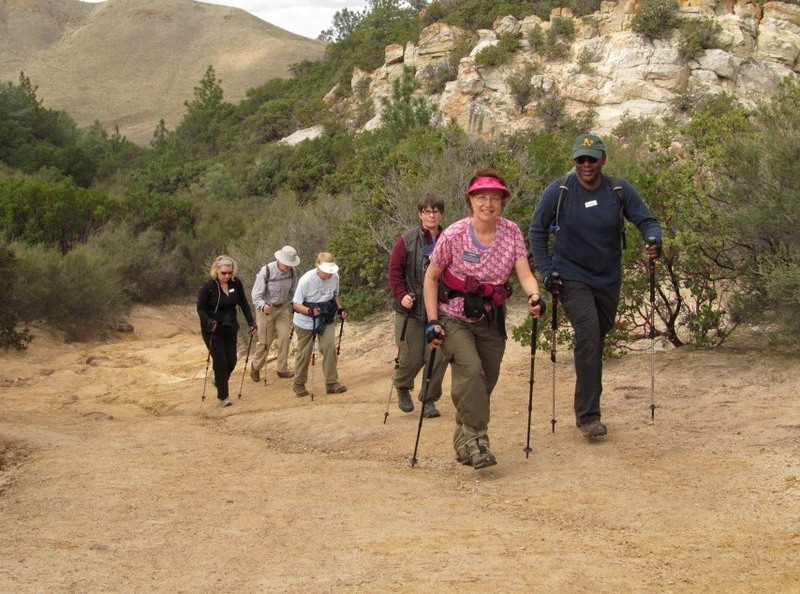 Although there are some steep climbs and most of the trail is up and down hills on the old dirt ranching roads, the beginning of the trail is easy to moderate and a good place for beginners to get their first taste of our wonderful hills. For those who choose to hike most of the trail, it will be a moderately strenuous hike, at times on grassy hills and at others in dense forest shade, but bring a sun hat for those exposed ridges. I’m hoping to be back to our cars by 12:30 to 1pm, maybe sooner. There will be a slower contingent of folks who will be hiking out toward Lafayette and up onto the Briones Crest and then returning for a 5 to 6 mile hike. Trailhead Directions: The trailhead is just south of Martinez. Take Hwy 4 to the exit at Alhambra Ave. and go south, away from downtown. Take the first right onto Alhambra Valley Rd. Confusing names, but it’s the first right you can make. Drive about a mile till the road Ts into Reliez Valley Rd and go right again. Drive one block, and make the first left you can onto Briones Rd. This will wind up through the hills and end at the trailhead. Sun. 12/11/16: I’ll meet people at the Peet’s Coffee at 1835 Ygnacio Valley Road (near the corner of Bancroft) in Walnut Creek, at 8:00am so we can car pool into the State Park, or meet us at the trailhead at 8:30am. A map can be found at http://www.superpages.com/bp/Walnut-Creek-CA/Petes-Coffee-Tea-L0100434182.htm It is $5 to park at the Mitchell Canyon entrance in Clayton. This will be a hike that includes the summiting of Mt. Diablo and a return via the Grand Loop Trail and North Peak. If it’s a clear day, the view from the summit of Mt. Diablo of the Sierra and Coastal Ranges out to the Farallon Islands is marvelous and one of the biggest views in the entire country. For you PCTers, you’ll see 700 to 800 miles of your trail at a glance. Spectacular! This is a beautiful hike that begins quite gently and those first few miles are suitable for beginning hikers. Simply turn back before you wear yourself out and enjoy the lovely, cool riparian canyon those first few miles present. Eventually however we turn sharply uphill and the rest of the hike is moderately strenuous to very strenuous. It is approximately 15 miles and 5,000 vertical feet, a gorgeous hike all day! 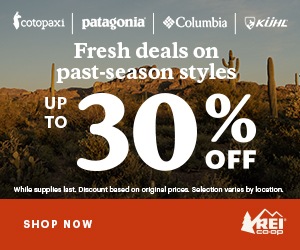 It’s great training for whatever your summer holds in store. If you have a map of Diablo, our trail begins at the Mitchell Canyon parking lot and travels up the old Mitchell Canyon Rd. eventually branching right onto Deer Flat Rd to Juniper Camp where there are bathrooms, water, hot showers if you need one and picnic tables. We turn left at the group camp near the North Gate Rd and begin our final climb to the summit on the Juniper Trail. From the summit we’ll descend via the Summit Trail and quickly branch left onto the North Peak Trail. At Prospector’s Gap we’ll head up North Peak and then return to Prospector’s Gap and turn left onto the Bald Ridge Trail, which we’ll follow to Murchio Gap where we’ll head up the trail to Eagle Peak and then down to Mitchell Canyon Rd and a return to our cars. Bring a lunch, snack, lots of water, clothing for the weather, hiking poles and a flashlight in case your hike goes long. To subscribe to his Hike Alerts, email Scott. 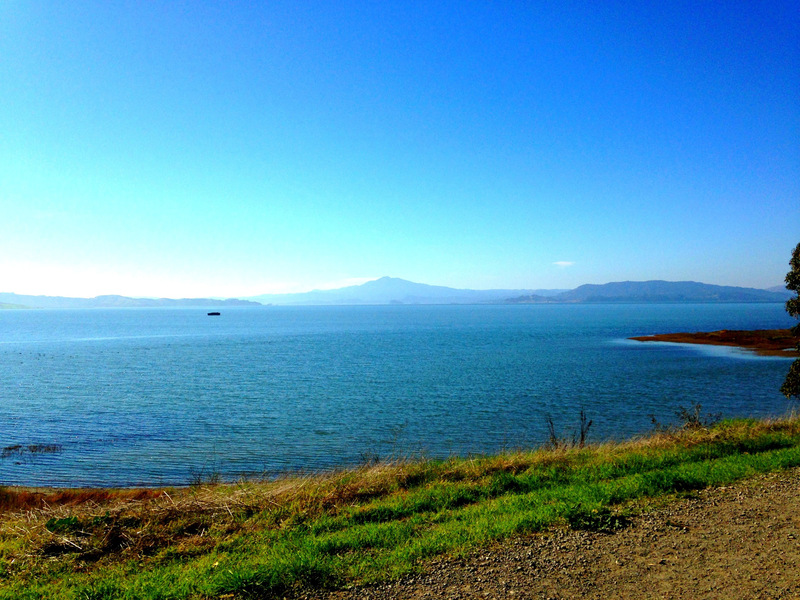 Let’s wrap up the year with a walk around Point Pinole Regional Shoreline. This hidden gem, tucked away in the northwest corner of the East Bay, is surrounded by San Pablo, Richmond and Pinole. With bluffs and beaches that provide fantastic views of Mt. Tamalpais and San Pablo Bay, the park also has tall eucalyptus groves and wide meadows (groomed by a herd of 600 goats). The area has a rich and interesting history, too, as home of the Huchiun (Ohlone) tribe before the arrival of the Spanish and then as a land grant to Francisco María Castro after Mexican independence. And for 80 years until the 1960s, the point was the site of four explosives manufacturing companies. Our walk will follow the Bay View Trail to the end of the pier and back where we will then stop for lunch before returning via Owl Alley Trail. Total distance is ~5 miles. Meet us by 10:30 AM for sign-in and briefing where the parking lot restrooms are located. We expect to arrive back at the parking lot by 1:30 PM. Open to all (members and non-members). Dogs welcome, too. (Leashes required on paved paths and dogs not allowed on pier.) RSVP not required, but join event to see who’s coming on the NorCal Facebook Group. This hike takes place rain or shine. Led by chapter members, Christen Lee and Guy Joaquin. Getting There: The park is located at 5551 Giant Highway, Richmond, CA 94806. By Car: From eastbound 80, take the Fitzgerald Dr. exit in Pinole. Turn left onto Richmond Parkway, right onto Atlas Rd. and then left onto Giant Highway. From westbound 80, take the Richmond Parkway exit. Turn right onto Richmond Parkway, right onto Atlas Rd. and then left onto Giant Highway. For more/other directions, use Google Maps. At this time of year, no parking fees are collected. By Public Transportation: From Richmond BART station, take AC Transit bus 71 (towards Richmond Parkway Transit Center) and offboard at West Contra Costa County Justice Center (adjacent to park) ~30 min. Carpooling: If you want a ride or can give one, post a message to this event listed on our Facebook Group page (Peregrinos – Northern California). What to Bring: A bag lunch, snacks and water. The walk is relatively flat so good walking shoes will be sufficient. Hiking poles are not necessary. Restrooms and water at the trailhead and lunch stop. Rumor has it that the new APOC Silicon Valley Chapter will have a Holiday Social on December 18. 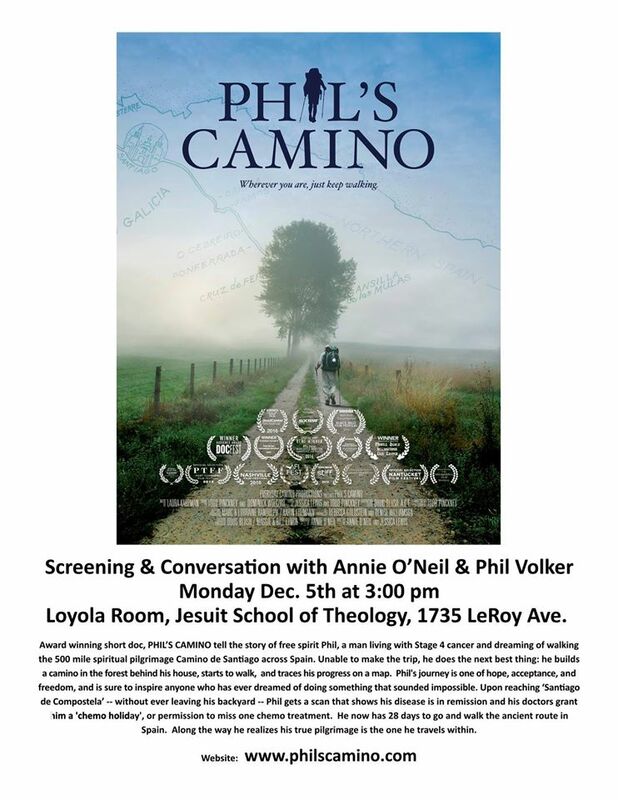 If you live in the Silicon Valley area, request to join the American Pilgrims on the Camino – Silicon Valley Chapter Facebook group for more details. 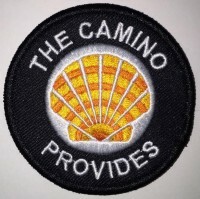 This Camino thing seems to catching on. There’s a new APOC chapter in Sacramento and they have plans for great events in 2017. Request to join the Sacramento Pilgrims Facebook group if you live in the area. Happy Holidays everyone! Peace be with you.